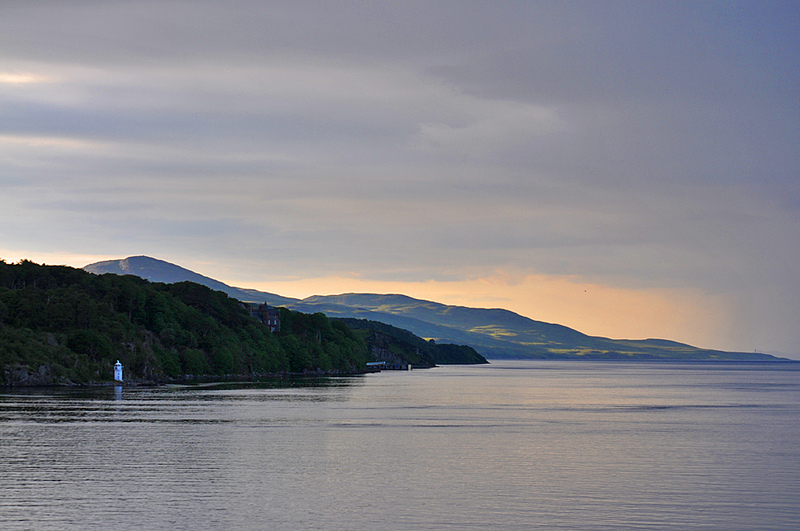 A view up the Sound of Islay from the Islay ferry approaching Port Askaig. You can just see the pier from here. On the left the small lighthouse at Carraig Mhor, just left of centre Dunlossit House. This entry was posted in Cloudy Weather, Landscape, Lighthouses, Repost, Sunset, Village and tagged Dunlossit, ferry, Islay, Port Askaig, Sound of Islay by Armin Grewe. Bookmark the permalink.